On November 22, 2011, Governor John Kitzhaber declared a moratorium on executions and encouraged all Oregonians to engage in the long overdue debate on the death penalty to find a better solution that keeps society safe, supports the victims of crime and their families and reflects Oregon values. To date, no such debate has not taken place. To encourage this much-needed debate, OADP is launching the Million Conversations Initiative. 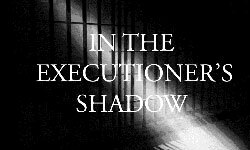 We are asking friends, neighbors and even strangers to have conversations about the death penalty. Many people do not know what they think about the issue or even if Oregon has a death penalty. It simply has not come up in their daily lives or context. We want to change that. Our goal is to have a million such conversations in Oregon. How to start a conversation about the death penalty. How to help the other person articulate his or her views on the death penalty. How to listen deeply to the other person's values and affirm them. How not to try and persuade or change the other person. How to make sure that you and the other person feel good after the conversation. How to share your learning from the conversations with us and how to record your conversations on the OADP website.